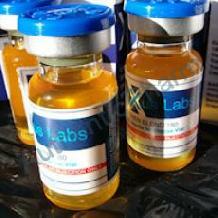 Lixus TRI TREN 180 is an injectable blend of 3 TRENbolone esters; enanthate, acetate and hexahydrobenzylcarbonate. These compounds are provided in equal parts, 60mg each. With it�s TRIple blend of short and long acting esters it has been designed by the Lixus Research and Development Team to be the TRENbolone equivalent of Sustanon.